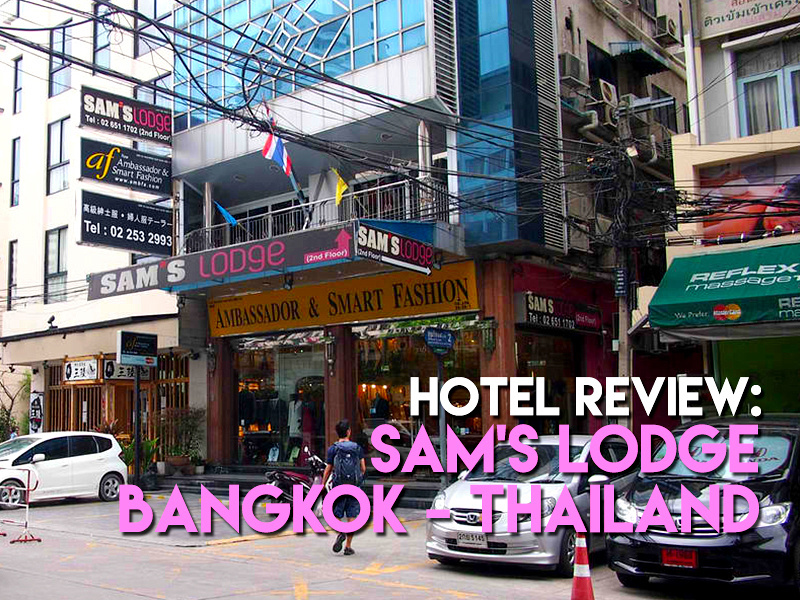 I stayed at Sam’s Lodge Hotel in Bangkok, which I booked online for its price and location. 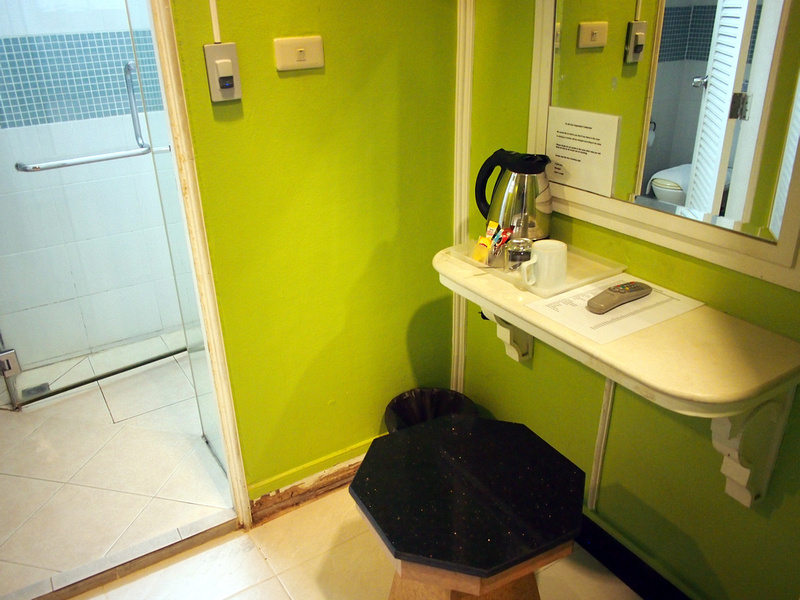 The hotel is located on Sukhumvit Soi 19, which is next to the Terminal 21 shopping mall at Soi 21. This is where the BTS and MRT metro lines intersect, making it – along with Siam – as the most central place to stay in Bangkok. Most of the old-style guesthouse and cheap hotels have been demolished on this stretch of Sukhumvit Road so I was surprised to find this on pop up in the search results. I have been down Soi 19 before but this place is above a shop front with its entrance on the side. This is one of the last of the old school in lower Sukhumvit. There are narrow stairs going up to reception but there is a lift that serves the building. 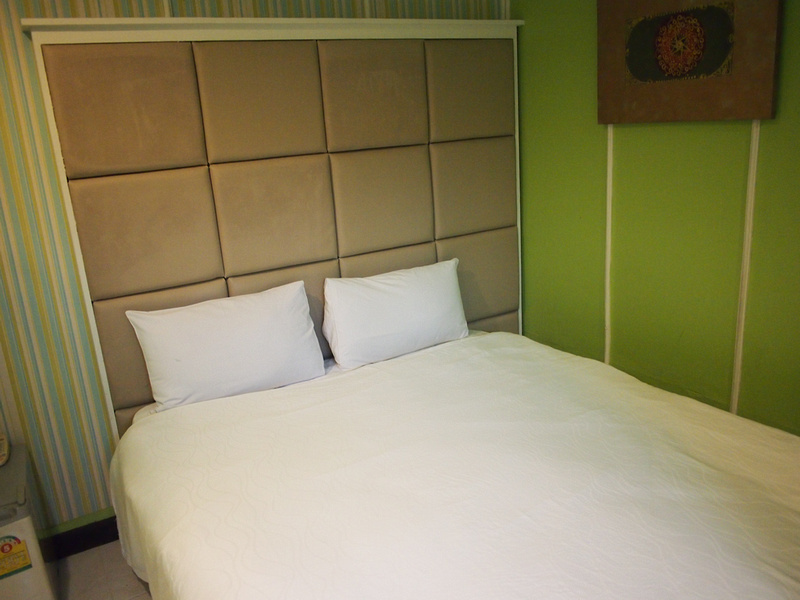 I got a double room decorated in multiple shades of green. The decor and paint-job gives away the age of the building, though everything was clean and functional. 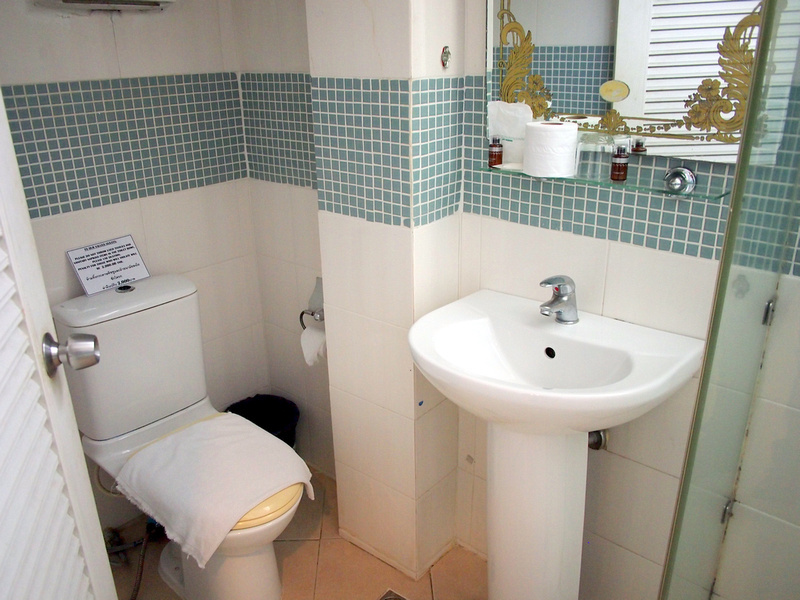 The bathroom had its own shower area and was clean and bright. Some of the rooms have windows (that I saw) while this one got outdoor light with glass bricks. The room had a tea and coffee station, though I would exactly call this a work desk. The hotel has free wifi and I had a good connection in my room. There is no breakfast service. Overall this was a good stay. Being centrally located at a budget price this is a good deal if you don’t mind staying in an older place. 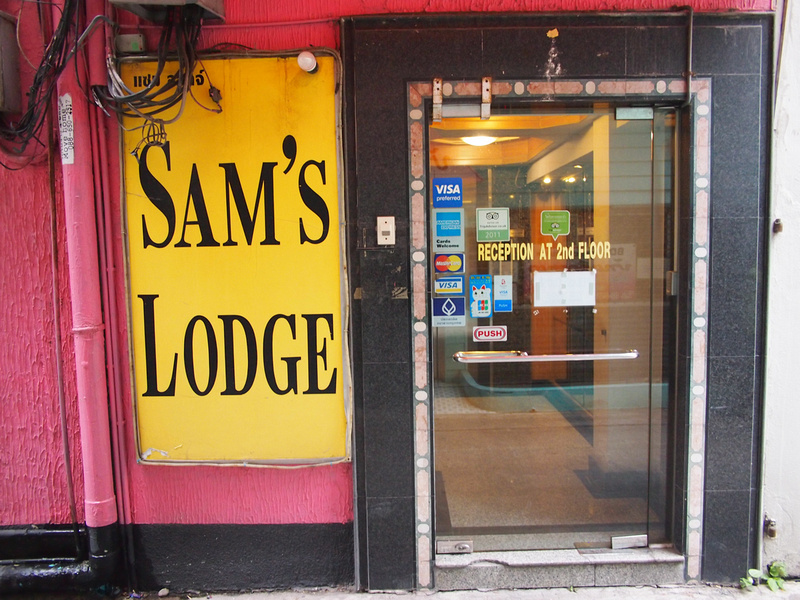 Book the Sam’s Lodge Hotel online or search for more hotels in Bangkok. If you don’t know your Sukhumvit’s from your Silom’s then read this guide on where to stay in Bangkok.